GreenBrowser was based on the old Internet Explorer. In both function and design, the two browsers look very similar. Before getting into all that, it should be noted that there were no complications when it came to installing the browser. Users should have no problem getting the browser to work. 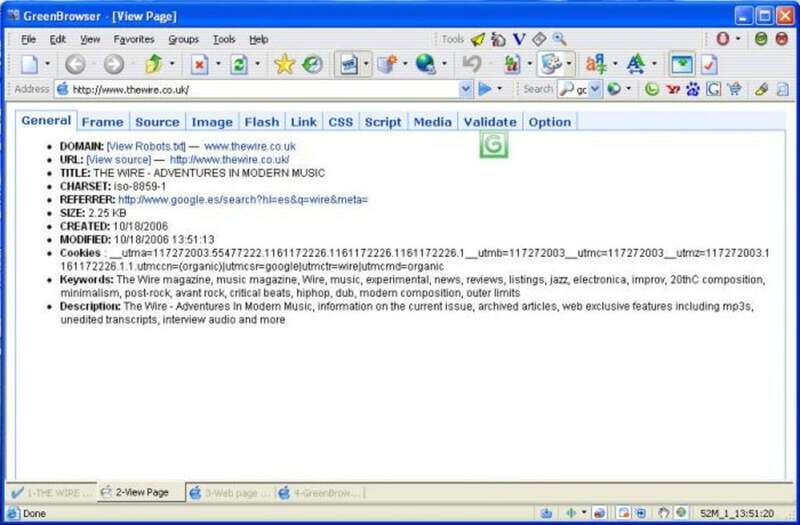 As mentioned above, the interface of GreenBrowser is very similar to the old interface of Internet Explorer. Old users of the Internet Explorer will remember that before browsers employed the sleek, tab-focused designs, they were littered with menus and buttons. This is exactly what GreenBrowser’s interface is like. GreenBrowser still has a title bar, and below that is a menu bar with the standard menus such as file, edit, view, favorites, and more. After the menu bar is the address and search bar. The address bar and search bar are separate for some reason, and they can be quite confusing. At the beginning of that same row are the different function buttons like refresh, home, back, forward, and stop. Still in this row, but at the end, can be found some more options and functions like search engines, highlight, find on page, and more. Below the search and address bar is the tabs bar. Here you can see the tabs that you have open. Colored in grey are the tabs that aren’t in use while the tab that’s currently in use is colored in blue. The tabs are actually pretty small which is a good thing since it doesn’t distract from the pages themselves. In terms of loading and displaying pages, GreenBrowser functions just as well as other browsers. The response time is quick and there’s not a lot of lag. It also has a floating icon that you can click to easily minimize and maximize the browser. All that said, it still has a lot of problems that only proves why Chrome and Firefox are the most used browsers today. Probably the most damaging one is the inability to install extensions and add-ons, but minor problems like not being able to use Ctrl + A in the search bar are also points against the GreenBrowser. Despite all these problems, GreenBrowser is quite functional if it just needs to open pages. 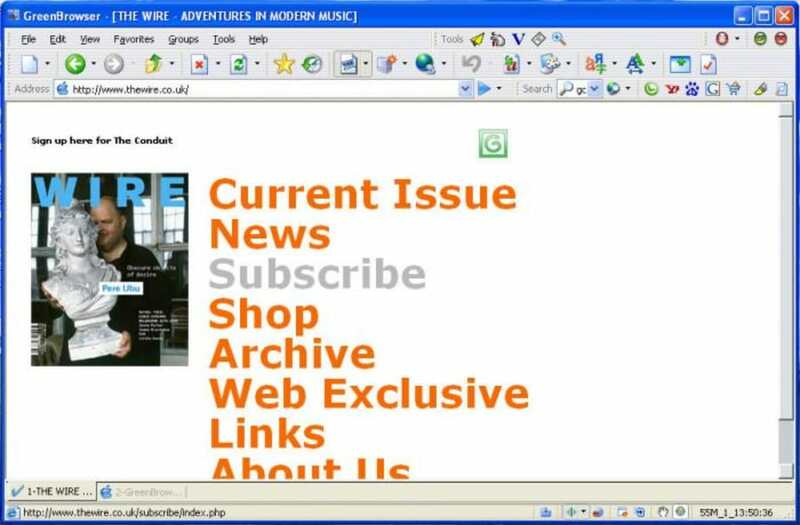 GreenBrowser is good for one thing and that’s to give you nostalgic feelings of the past. Its interface and usability represent everything good and bad about old browsers. The good is that they were able to load pages. The bad is that you can’t customize them and their windows are crowded and not streamlined. Ultimately, if you’re looking for performance, Chrome and Firefox should still be your first choice. If you’re looking for nostalgia, though, GreenBrowser is here for you. GreenBrowser is a useful browser based on Internet Explorer but that offers alot of extra options. Thanks to tabs, you'll be able to open numerous websites in one browser page. Green Browser revieuw. Green Browser appears to be much faster than IE and imports without any problem all the IE favorites, cookies and websites. I didn't notice further hangups like IE 8. frequently does. So in general I like this browser. One small detail, you can't drag the sorted maps and weblinks under favorites to another place or sequence. don't like it. Tried for several days,just don't like it,the GUI,the skins etc.I will back to the Avant I have been using for several year . What do you think about GreenBrowser? Do you recommend it? Why?